JACKSON – The murder suspect who killed a detective at police headquarters in Mississippi’s capital city last week shot himself twice in the head after shooting the officer four times, the coroner said Tuesday. Hinds County Coroner Sharon Grisham-Stewart said 23-year-old Jeremy Powell shot himself once in the side of the head and once under the chin after shooting veteran Jackson Police Detective Eric Smith four times on Thursday, April 4. Grisham-Stewart said last week that Powell had died of a self-inflicted gunshot wound to the head. “It is unusual, but the first shot didn’t kill him,” the coroner said in a telephone interview Tuesday. Powell was being questioned about a stabbing death when he grabbed Smith’s gun during an interview on the third floor of the department and shot the 40-year-old detective twice in the arm and twice in the chest, authorities say. The Clarion-Ledger Newspaper is reporting that a second officer was in the interrogation room and managed to fire off a round at Powell during his scuffle with Smith, but missed. A person with knowledge of the investigation told The Associated Press last week that the shooting was captured on an interrogation room video. The AP has asked for the video to be released under open records law. Jackson authorities say the request is being processed. The Clarion-Ledger said the video shows that Smith’s partner, Detective Patricia Wilder, left the room after her shot missed Powell and her magazine fell from her gun rendering the weapon disabled. Sources said Wilder was likely going to retrieve another weapon and get help. Jackson Mayor Harvey Johnson Jr. said in a news release Tuesday that there are two ongoing investigations related to the shooting. of Investigations. Harvey said the Jackson Police Department’s Internal Affairs Division will determine if there were any violations of the department’s policies and procedures. Ken Winter, executive director of the Mississippi Association of Chiefs of Police, has said each department sets its own policies, but he said that in general it wouldn’t be unusual for a suspect to be unrestrained during questioning and for an officer to be armed during the interrogation. A candlelight vigil was held Thursday night for Smith outside the Jackson Police Department, Johnson said. 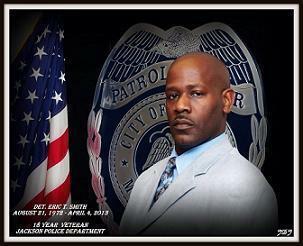 Smith’s funeral is scheduled for 11 a.m. Saturday at Jackson State University’s basketball arena. Burial will take place at Autumn Woods Cemetery. 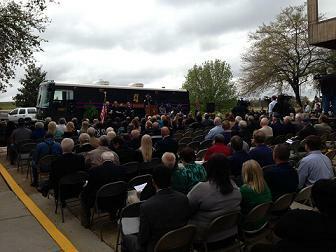 A repast will be held at the Jackson Police Department Training Academy.